Many emerging markets have been struggling following China’s economic decline and a series of currency crises throughout 2015. In addition to China’s economic struggles, Russia’s ruble collapse, and Brazil’s difficulties, investors have been selling off many emerging market equities and bonds due to the prospects of higher interest rates in the U.S., which has increased debt service costs for both domestic companies and governments with dollar-denominated debt. Despite the weakness of its peers, India reported 7% gross domestic product (“GDP”) growth during the April through June quarter, making it one of the fastest growing economies in the world. The growth hasn’t stopped investors from dumping the rupee and Indian stocks, sending exchange-traded funds (“ETFs”) like the WisdomTree India Earnings Fund ETF (NYSE: EPI) lower, but the country’s fundamentals appear to be quite strong on the surface. 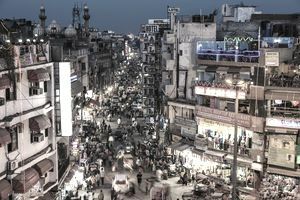 India’s economic growth can be attributed to some key economic differences with its peers – namely, it’s robust consumer spending that grew 7.4% year over year. While the global economy has been struggling, Indian consumer spending has been on the rise thanks to a strengthening outlook toward job security, expectations regarding rising household income, and greatly reduced inflation expectations over the past year. In contrast, China, Russia, and Brazil are driven largely by commodity exports and foreign investment. China’s slowing economy has led to lower commodity prices around the world – including sharp drops in crude oil and iron ore prices – which has taken a toll on emerging markets that are commodity-dependent. Countries that rely on foreign investment have also suffered as capital has begun to flow back into developed markets. India’s government has also indicated its willingness to help improve the country’s economic situation by committing $11 billion to build-out public infrastructure and potentially offering a wage hike to public sector workers – initiatives financed through its growing tax revenue. In the past, these kinds of efforts have been an effective way to stimulate the country’s economy by encouraging consumer spending to compensate for weaknesses elsewhere. India’s positive economic data should be taken with a grain of salt, after the country’s leaders adjusted the way they estimate gross domestic product, leading to a jump in official figures. When looking at other economic indicators, such as car sales, the figures look a little less promising than the headline statistics. Some investors are concerned that the country may be overestimating its economic growth as a result of these changes. The reality of the country’s economic situation may lie somewhere between the extremes. With government tax revenue moving briskly higher, there’s little doubt that consumer spending continues to be a positive for the country. However, this spending is offset by slower industrial production driven by reduced demand for exports, despite a weaker rupee that should – in theory – boost the competitiveness of its exports around the world. Some investors believe that the country’s overall growth will be limited by sluggish international growth; however, this still suggests that the country could be among the better emerging market performers over the coming years.